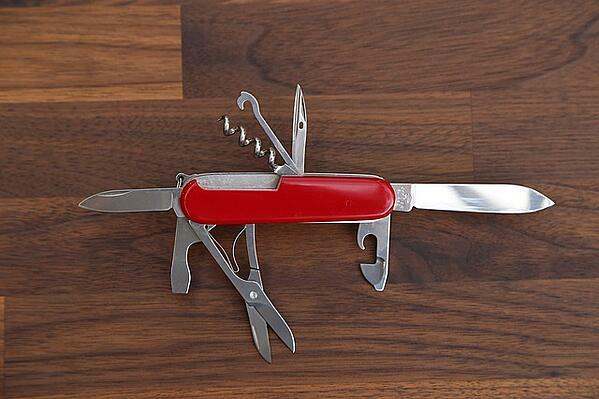 The system administrator (or systems engineer) is the Swiss Army Knife of association IT staff. Since we are thrown into many different types of technical challenges, we need to have a robust set of technical skills to address those challenges. But technical skills aren’t the only requirement. Here are the people, policies, tools, and talents a systems engineer or sysadmin needs for your association to use technology effectively. First, a clarification: Systems engineers deal mostly with the planning, design, design changes, and implementation of a network or system. System administrators or sysadmins manage the ongoing support of those same systems and networks as well as many other aspects of an IT infrastructure. For simplicity’s sake, I’m using “system administrator” or “sysadmin” throughout this post. Now that that’s out of the way, here’s who is on the sysadmin’s team, or directly impacts the sysadmin’s work. CIO or IT director: They provide guidance to the system administrator on the organization’s technical needs and objectives. It’s the sysadmin’s job to carry out the tasks and projects that help the organization achieve those needs and objectives. If the organization doesn’t have a CIO or IT director on staff, then the sysadmin typically reports directly to the executive director, CEO, or someone else in the C-suite. Technology partners: The sysadmin manages relationships with hardware and software providers, tech vendors, web developers, and database developers and administrators. Managed Services Provider (MSP): An organization’s MSP has access to resources (both financial and technical), staffing, and experience that an organization with a lone system administrator doesn’t. For example, if an organization with 50 employees has 30 new laptops to roll out to staff, the MSP can complete that task in a matter of days, whereas it may take a sysadmin a month to do the same! More complex technical issues can require days or weeks of troubleshooting and resolution—an MSP can take some of the pressure off the sysadmin by working on these issues while the sysadmin focuses on other technical needs. With the support of an MSP partner, a sysadmin can support the organization in other, often more strategic, ways. The system administrator’s technical work is guided in part by 2 critical policies. Security: With cryptojacking attacks jumping more than 400% since last year according to the Cyber Threat Alliance, meaningful security policies are critical to protect your data and network from cybercriminals. The best security policy balances the needs of staff, the IT department, and the people who entrust their data with you: your members and constituents. Help desk support: A policy for help desk support covers practices such as service ticket/request (SR) statuses, prioritization of tickets, response times, phone/email/communication etiquette, ticket escalation process, and time entry. People or soft skills: Sysadmins must be able to communicate effectively with staff, executives, and technology providers about problems and solutions. They must also be able to collaborate with staff to solve a problem or finish a project, and with third-party vendors to work through a project or troubleshoot and resolve an issue. With tons of experience helping DelCor clients get back to work, Joey is now part of our data center team, ensuring clients can keep working.